There’s a saying which goes something along the lines of always ask a busy man if you want a job doing and that man is certainly Joe! 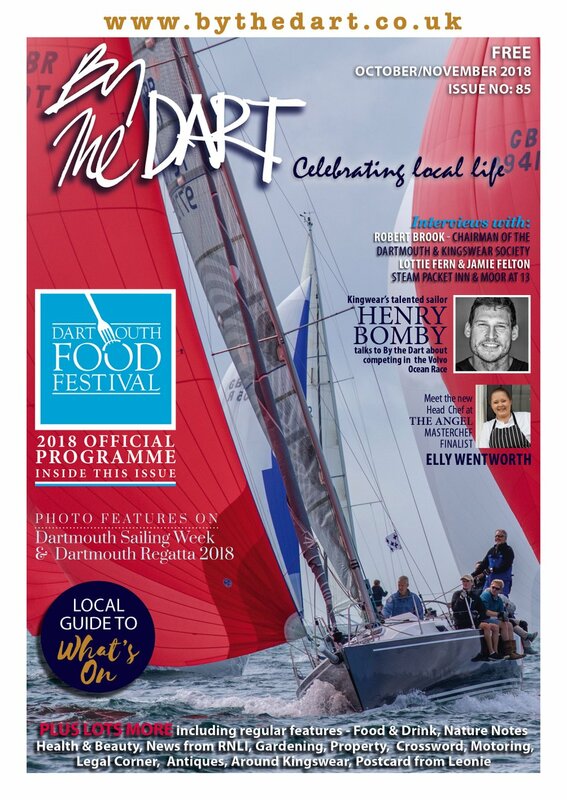 He has had a boat, which he lives on, on the Dart since 1996 but had always previously visited Dartmouth on a very regular basis from his home on Exmoor. He jumped at an opportunity to move to Dartmouth permanently and since moving he and his partner Jayne Hayman have purchased the Dartmouth Canvas Factory from Doug Briscoe who had set up the business in the early nineties and which Jayne had managed for Doug for most of that time. They did not hesitate about the purchase and certainly have not looked back since. Dartmouth Canvas Factory in Foss Street has the appearance of a shop which of course it is but it is also a manufacturing base for all of the canvas work sold in the shop as well as for bespoke manufacturing for other companies and individuals. Joe is proud that he is able to provide employment for five ladies all from Dartmouth. The business has some pretty impressive names amongst their list of customers – Buckingham Palace, Land Rover, Trinity House, Ministry of Defence, various Harbour Authorities – and of course not to be forgotten their work has appeared in the advert ‘Compare the Meerkat (Market) .com’ where they supplied the distressed awning, sail and rigging for Alexander Orloff’s boat! Evidently they had been recommended to the film company making the advert by someone in the higher echelons of the BBC! 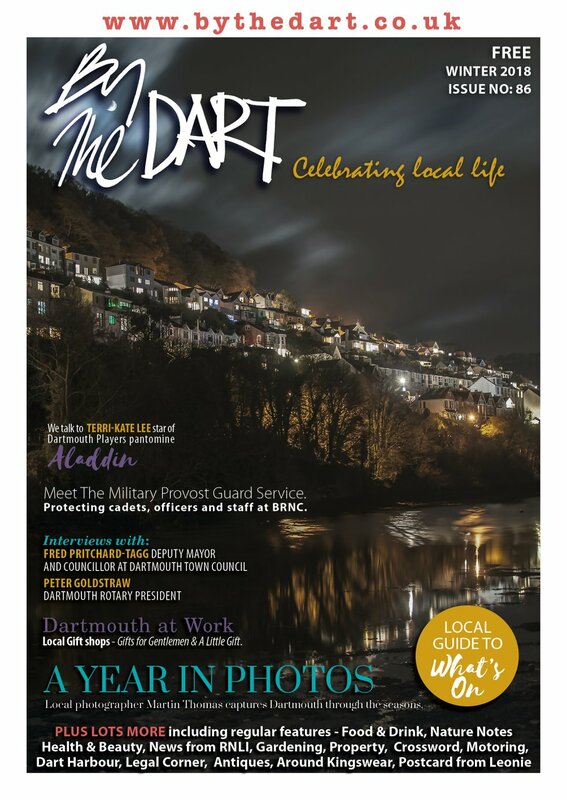 Joe admits, ‘Inevitably the business has curtailed the time we spend on our love of travelling and we are now far more committed to Dartmouth than we have ever been before’. Having a business in the town led Joe to get involved in the Chamber of Trade and Business and he became Vice Chairman at the time of the Business Rate crisis which hit the town a year ago and he has recently become the Chairman at a time when Dartmouth has suffered one of the worst fires in its history. He has played a large part in helping businesses affected by the fire and will continue to do so as it will be some considerable time before the buildings are rebuilt. 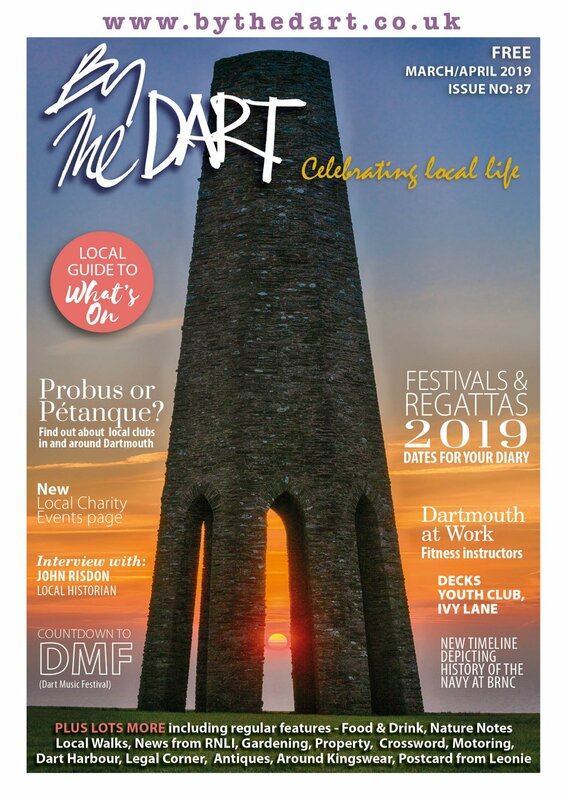 As Chairman, Joe believes it is very important to raise the profile of Dartmouth to keep trades and businesses viable and that it is also just as important for the Chamber to get involved with any plans for the town and that the Chamber’s views and input is sought. As well as the Chamber of Trade and Business Joe also serves on the River Dart Harbour Board. After working for the Harbour Authority for two years prior to buying the business and actually living on the river he feels he knows it well and has something to contribute to the decision making. Joe has had his boat, which is a 28’ Falmouth working boat copy with a fibreglass hull, for about five years. It is currently up for sale as he and Jayne are planning to purchase a house in the town. Joe says, ‘We have enjoyed the boat immensely having spent a whole year travelling on her. We left Dartmouth one Autumn and sailed the boat over to the French canal system. We lowered the mast at Honfleur and journeyed up to Paris where we spent the winter in the Paris Arsenal, a marina more perfectly situated in Paris you couldn’t imagine, being within two minutes walk of Notre Dame.